If your makeup drawer is overloaded with brushes, Cailyn’s 4-in-1 Eye Brush is the perfect way to create order—and to create multiple looks that range from subtle to smoky. The 4-in-1 has two removable, dual-end brushes with bristles cut into different shapes. 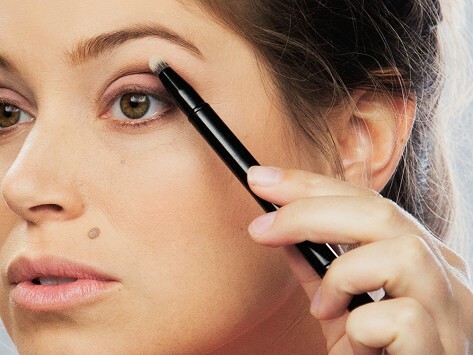 You get an oval brush, a slanted brush, a pointed brush, and an angled brush in one sleek applicator. Love the 4-in-1 Eye brush. Eliminates the need to buy 4 brushes. Just took this brush on vacation. It was very useful and I saved lots of space. I am very satisfied with my purchase. This is my second one. Loved the first one so much that I bought another one to keep at my office for touchups. Good idea, but brush tips could be a little bigger. Brushes are too small to achieve a finished look. What’s so “wow” about Cailyn Cosmetics’ O! Wow Brush? First, the patent-pending design. It looks like a sculpture, but each artistic feature is actually a carefully designed benefit. The bristles are ultra-fine and so densely packed they feel like velvet. 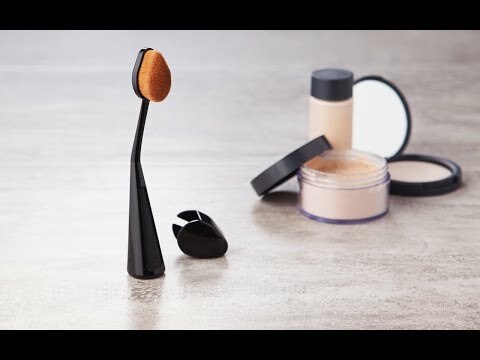 Touch the lush surface and you’re likely to exclaim (as we here at The Grommet did), “Oh, wow!” This incredible surface offers the best of a brush and sponge, giving you complete, streak-free coverage with an airbrushed effect. The pyramid base lets the brush stand all on its own, with an alluring tilt to the handle that’s designed to fit snugly in your hand. That means greater stability and precision. And the pointed tip and domed angular shape make blending creams and powders seamless and contouring effortless. Cailyn's other innovative makeup brushes include the 4-in-1 Eye Brush and 4-in-1 Lip Brush. Both are single applicators with two removable dual-end brushes. The ends have different shapes that let you create dozens of different eye and lip looks with a single tool. All in all, Cailyn makes it super easy to create a whole lot of wow.